Often when you download free software from web sources, it comes with other adwares and malwares which enters in your system and spreads all over, including browsers. These are also called as browser hijackers. Browser hijackers, because they enter into all browsers of your system. Once they are established there, they change your default search engines, homepage and sometimes even installs toolbars. This is done to promote their websites and advertise their products but sometimes they might be even malicious. Malicious because they might have even entered with an intention to steal some personal information. Some of the examples of browser hijackers are Nationzoom, Babylon etc. It does not come on its own. When you download free software from the web, you are asked in between to add these additional products. If you do not give permissions to install such additional products then they are not downloaded along with the primary software. Sometimes they might even force you to download. They might tell you that download will not begin until you give permission to install those additional products like toolbars. We all know that it isn’t fair and its just nasty way to promote their products. How to get rid of these adwares or malwares? If you have any anti-virus software installed on your PC like McAfee or AVG then they might not work when you want to remove these adwares or malwares. 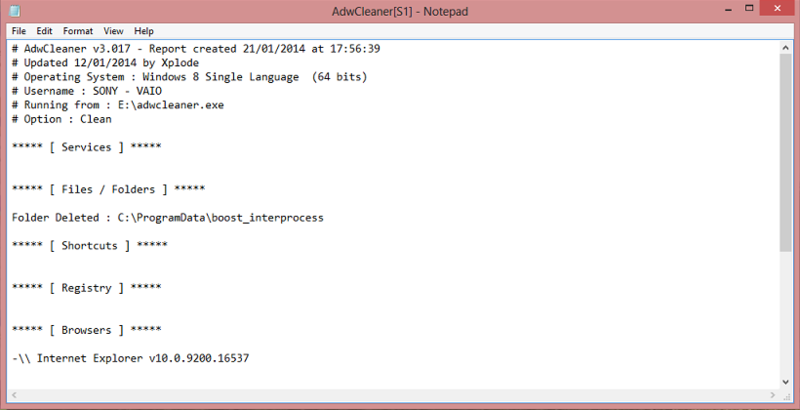 Instead, you will have to download Adwcleaner or Malwarebytes Anti-Malware software to get rid of them. Normally, installing more than one anti-virus software isn’t recommended because it slow downs your system. It may cause some other errors too but these malware programs works absolutely fine with your anti-virus software. They are launched instantly. Though Adwcleaner is the best program to get rid of it, it is recommended that you run Malwarebytes Anti-Malware also for any malware in your system. 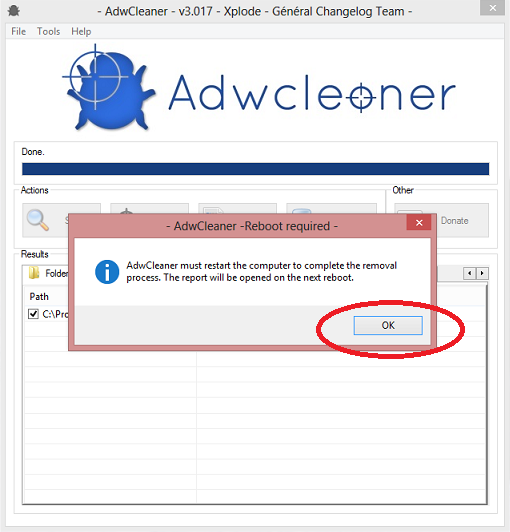 How to remove adware using Adwcleaner? 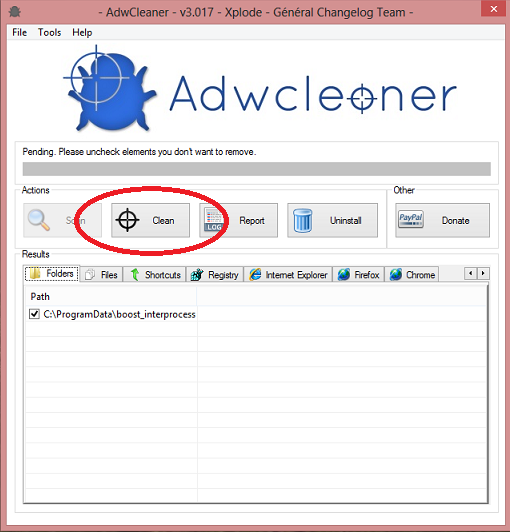 Step 1: Once you have downloaded Adwcleaner, go and open the downloaded file. Once you double click the file, you will be prompted to allow the program to make changes to your computer. Just click ‘yes’. Step 2: After you click yes, program will open up as shown below. Now click on scan to start scanning. Step 3: Once the scan is finished, you will be asked to uncheck the elements you don’t want to remove. From the result page, uncheck the folders or files you don’t want to remove. Its preferred to leave it as it is because you want to remove all adware in your system. Most of them you will find in registry because these adware mostly target registry files. Just click on the clean button to clean your selection. Step 4: Once cleaning is done you will be asked to close all the programs. To remove adware completely from your system, you need to reboot the system. Step 5: After you press OK in last step, your PC will restart. After reboot, a report will be generated as follows. This report will include summary of all deleted folders and files. Now, open different browsers in your system to ensure that adware is removed completely.